How much should wedding photography cost ? How much should you pay ? Although, if you do a Google search for this topic, you will notice that 10% is the general answer, but depending on how DIY your wedding is or frankly, how important photograph is to you, 10% just won’t get you what you want or need. So why is 10% the “popular” answer? What’s so special about having 10% of your overall budget devoted to photography? Well, nothing really – it’s just a good starting point for the average wedding. Before any bride gets her hopes and dreams set on a certain idea for her wedding day, addressing the idea of budget is crucial! If you don’t know what your budget will be for the big day then you won’t be able to accurately show for vendors. Did you notice that in the last paragraph I used the term “average wedding”? That’s right folks, the average wedding devotes approximately 10% of the budget to photography. But is your wedding average? Let’s see how you compare to the average bride of 2011. 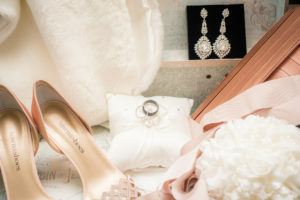 According to Wedding Bells magazine, the average cost of a Canadian wedding in 2011 was almost $23,500. The same survey showed that the average cost of a wedding photographer in 2011 was nearly $2,450. So how does your budget compare to that of the average wedding?